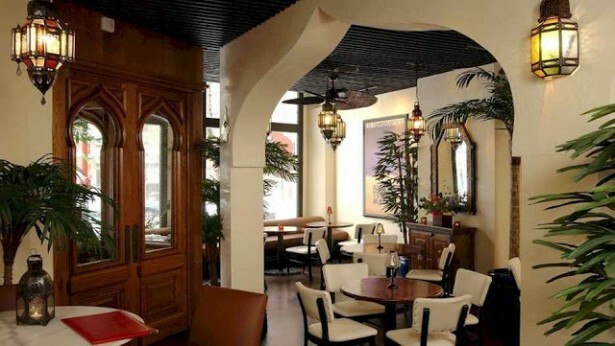 Reaching back into the North African nation of Morocco’s past for inspiration, Toronto’s Sultan’s Tent combines Old World culture with the incredible food and drink from that period to satiate even the most discerning culinary desires. 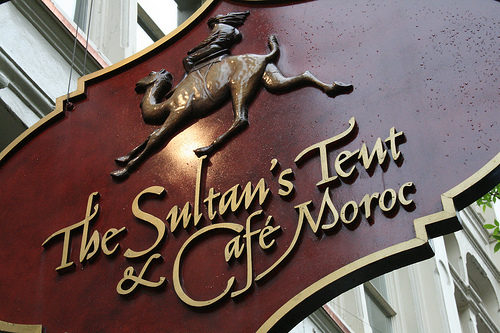 Long located at Bay St. and Yorkville Avenue, the Sultan’s Tent has been pitched at 49 Front St East (between Yonge and Church Sts) since 2002. The same commitment to excellence over the years has not wavered, and guests will delight in the authentic dining experience they’ll receive when they walk through the wooden doors into another world, another time. Draped fabrics, sumptuous divans, and shimmering lighting allow you to completely suspend your disbelief and transport yourself back in time to the Moroccan desert, within the ornate confines of a Sultan’s tent. Belly dancers add to this potent mystique seven days a week. Treat your mouth to all the savoury dishes The Sultan’s Tent provides; from the delectable Chicken Marakesh, the mouth watering Moroccan Beef Ribs or the lighter but no less tasty Couscous Royale. One of our favourites is the Maftoul; also called handmade “Moroccan Cigars,” they are essentially tube-shaped baked pastry filled with a mildy spiced beef, cashews, and raisins. 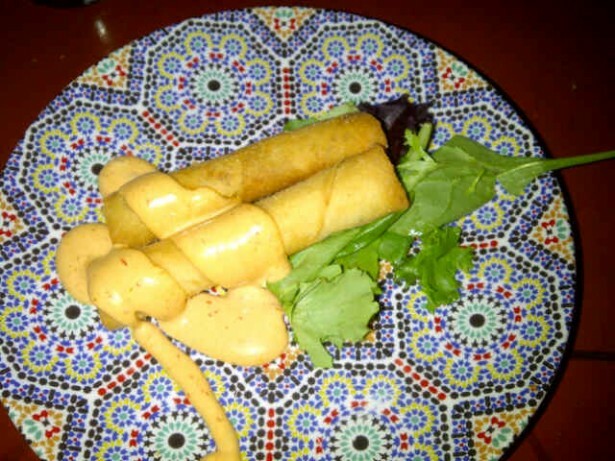 Topped off with a chipotle alioli for a little more added spice, these are simply exquisite. If you’re not that hungry, and are only in the mood for a la carte fare or just a drink, the Cafe Maroc will take excellent care of you. 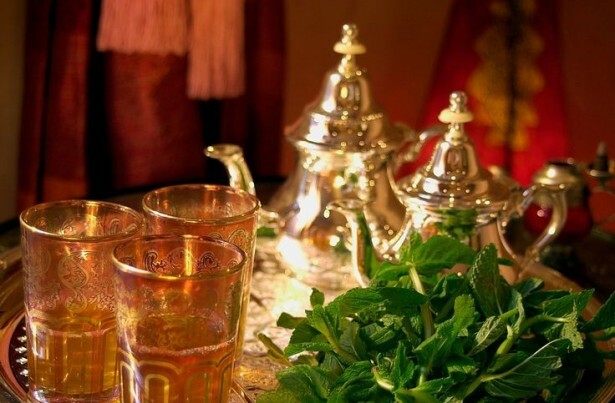 We suggest the Maghrebi Mint Tea (Atai), Morocco’s national drink. Green tea infused with mint leaves, it is poured from a distance to produce foam on the tea. 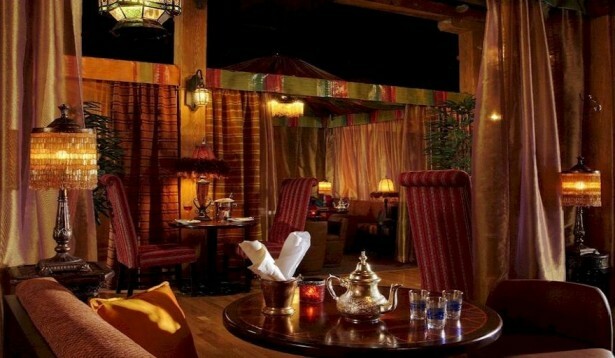 Tea occupies a crucial place in Moroccan culture, is an act of hospitality and is considered an art form. 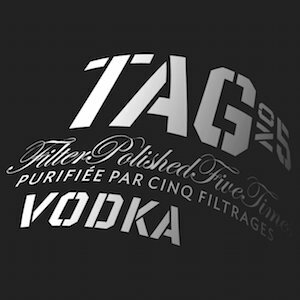 Aside from that, we feel that it’s an outstanding and healthy way to quench one’s thirst. Saha wa’afiab! A hand woven rug adorns one wall, and is from the King of Morocco’s father, Hassan II, a great man who inspired an arts and crafts renaissance in Morocco. This gorgeous and vibrant tapestry provides not only royal approval for this phenomenal Toronto eatery, but a glorious focal point for the guests to enjoy as they dine.